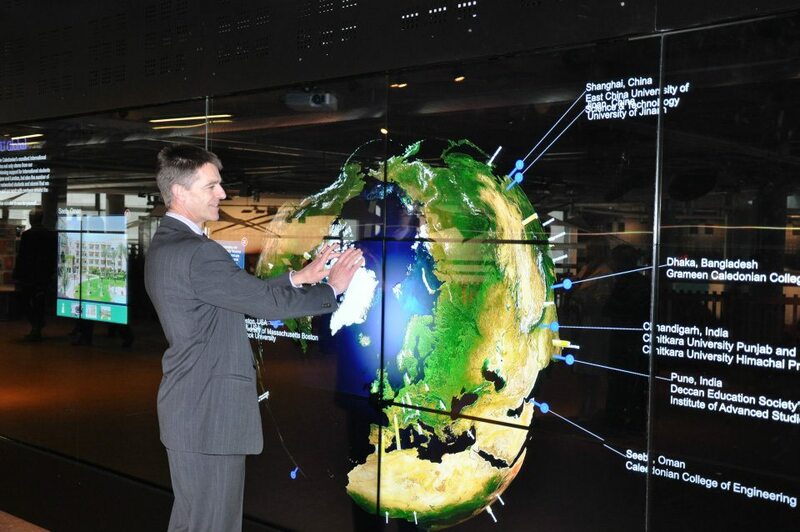 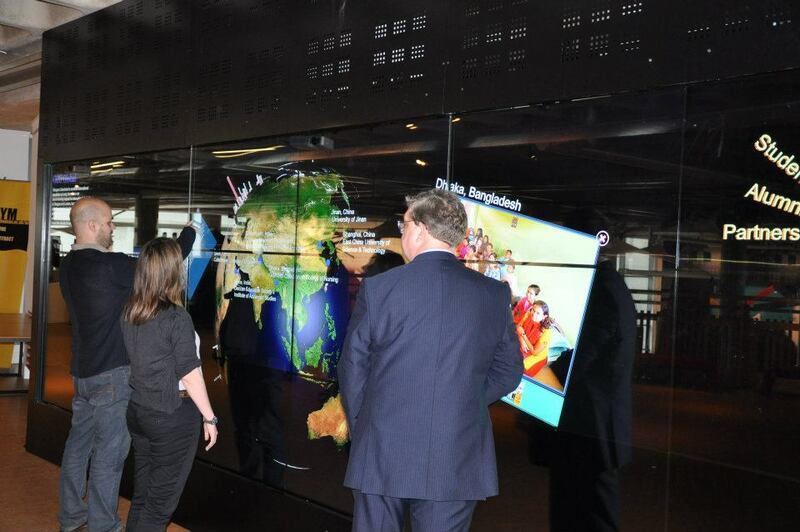 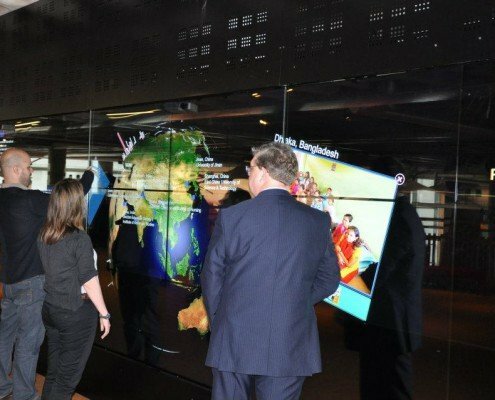 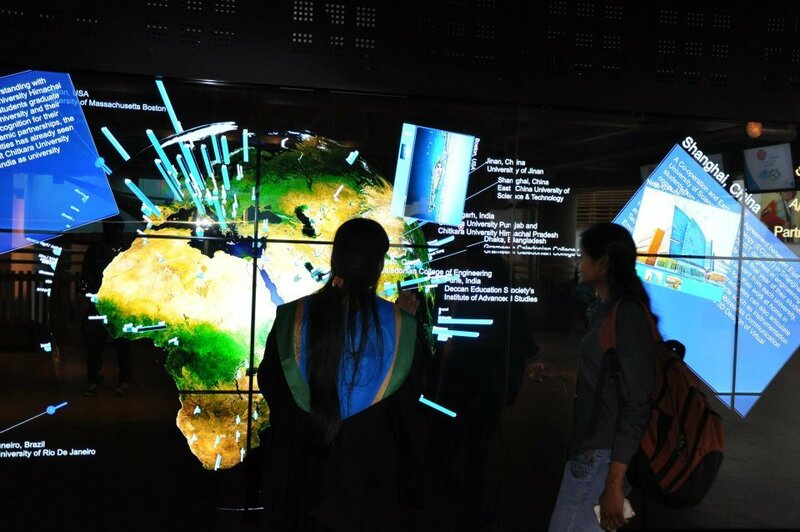 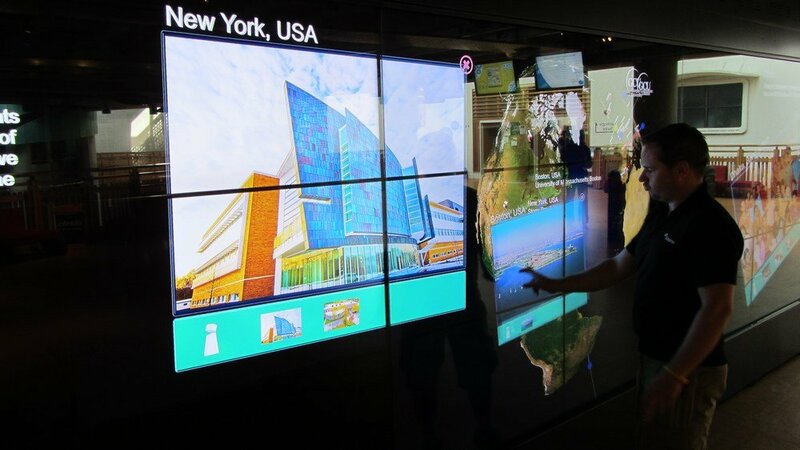 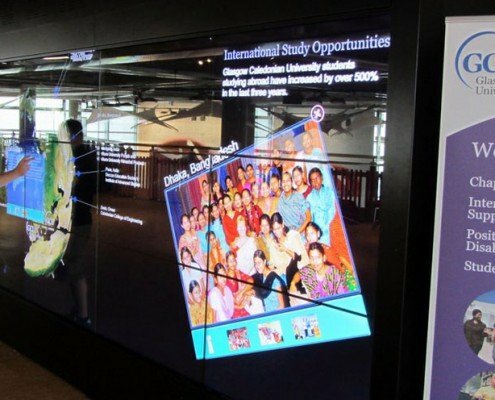 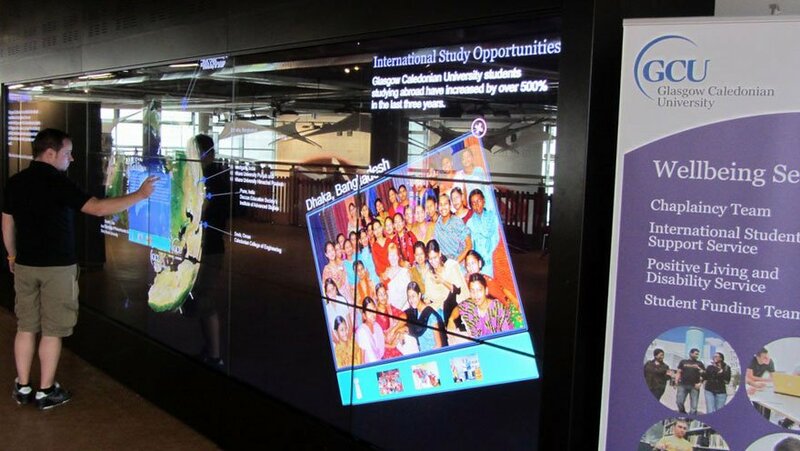 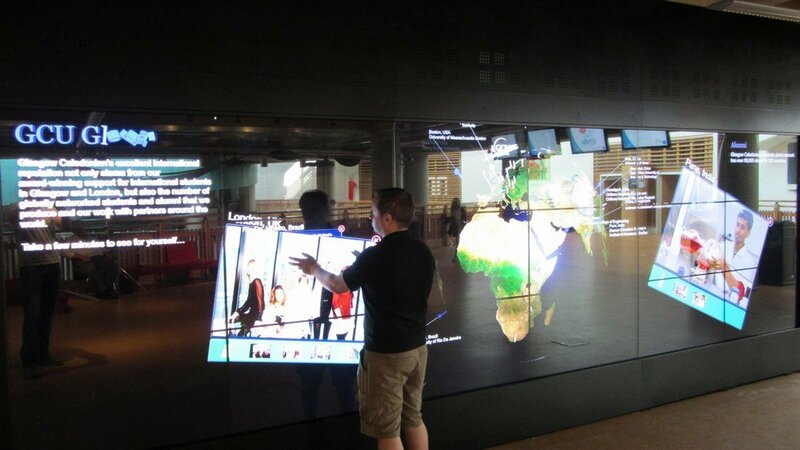 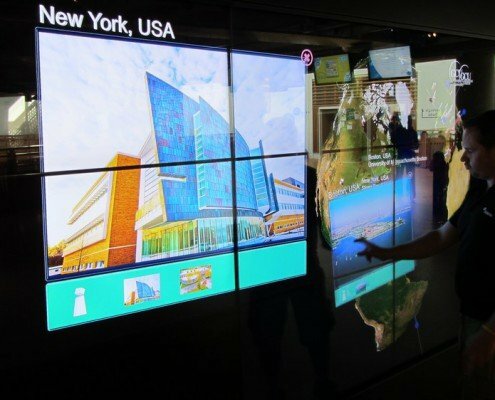 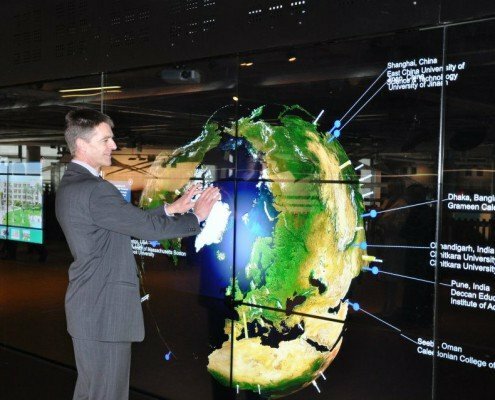 Glasgow Caledonian University has deployed a bespoke-built multi-touch solution integrated with a video wall, allowing students to explore potential overseas opportunities. 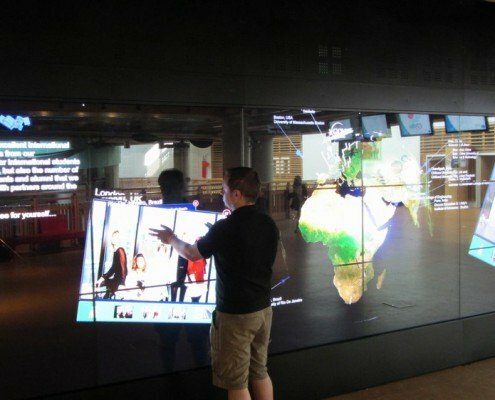 Located within the award winning Saltire Centre, the video wall is being developed as a central source of information for life at GCU and will be a key strand in the strategy to improve the student experience. 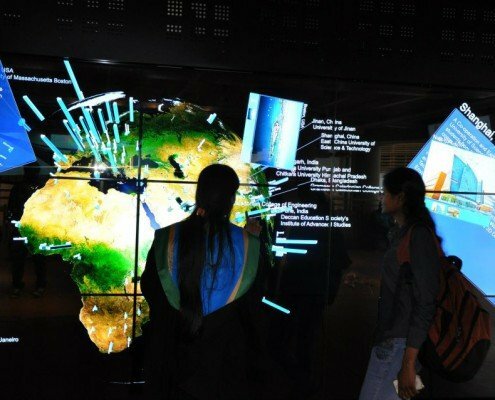 It is currently being used to drive student projects within the School of Engineering and Built Environment, allowing them to showcase their work to fellow and prospective students, employers and industry representatives.